Welcome to the SUEPO Central website. In order to get access to the non-public part of the website from outside the office, login is mandatory. You can navigate to the different categories using the left menu, or by clicking on the icon if you are on a mobile device. If you are feeling a little bit lost, please read this article first. (Kluwer Patent Blog published on 20-04-2019). “EPO publishes draft Strategic Plan 2023 and holds a new consultation”. (JUVE Patent published on 10-04-2019 - Author: Christina Schulze). “Aiming for peace at the EPO”. Translations are available in German and French. (Kluwer Patent Blog published on 07-04-2019). 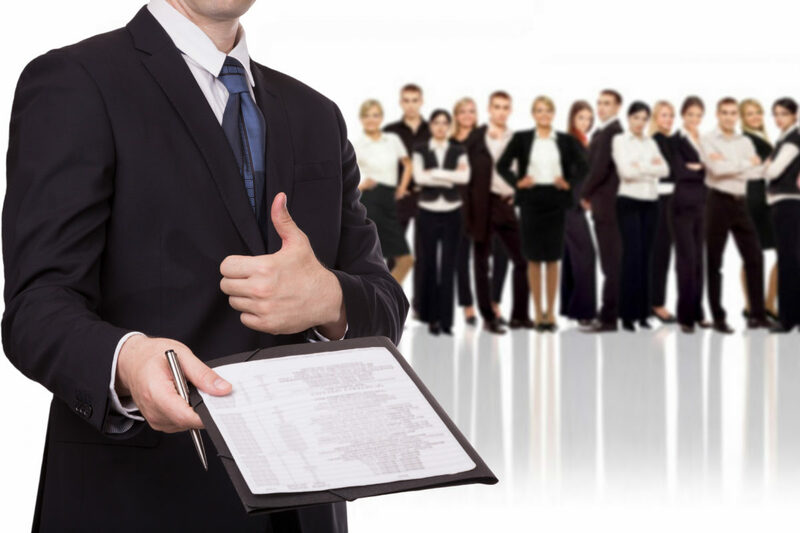 “EPO staff survey: concerns about quality, low confidence in management, lack of respect”. Translations are available in German and French. (Kluwer Kluwer Blog published on 05-04-2019). “Patentability of plants: EPO referral of decision T1063/18 criticized”. (IPPro Magazine published on 04-04-2019 - Author: Barney Dixon). “Little has changed in terms of EPO social dialogue, CSC reps say”. Translations are available in German and French. Other press articles published related to Work/Labour - UPC - Unitary Patent - ILOAT etc. (Author: Barney Dixon – IPPro Magazine published on 26-03-2019). "EPO president: Good intentions yet to translate into positive results". Translations are available in German and French. (Author Heike Anger - Handelsblatt published on 21-03-2019). "Kurioser Streit ums Europäische Patentamt entbrannt" (Article behind paywall) - Link to .pdf (password protected). Translations are available in English and French (password protected). (Author: Barney Dixon – IPPro Magazine published on 20-03-2019). “EPO CQI pilot scheme improved patent quality, claims president”. Translations are available in German and French. (Author: Tobias Kaufmann - Bardehle Pagenberg published on 19-03-2019). "BARDEHLE PAGENBERG's Contribution to the Public Consultation: EPO Strategic Plan 2023" and EPO Strategic Plan 2023 - Public Consultation (warning: epo.org link). (Author: Thorsten Bausch - Hoffmann Eitle published on 11-03-2019). How flexible should the EPO be in the timing of the examination process? (Author: Mathieu Klos - JUVE Patent published on 07-03-2019). "Battistelli’s difficult legacy". Translations are available in German and French. (Author: Thorsten Bausch - Hoffmann Eitle published on 01-03-2019). "The Haar in the Soup". (DELTAPATENTS, published on 26-03-2019) T 0403/18 - Ad hoc move of oral proceedings from Haar to Munich. (Author: Daniel Nazer, EFF - published on 04-03-2019 by Arstechnica.com). "Theranos: How a broken patent system sustained its decade-long deception". (Author: Monica Torres. Updated EN version published on 29-01-2019 and FR version published on 01-03-2019. Cet article, publié sur le HuffPost américain, a été traduit par Maëlle Gouret pour Fast ForWord). EN - "This Is What Happens to Your Body When You Hate Your Job" | FR -"Voici ce que subit le corps quand on exerce un emploi que l'on déteste". (24-02-2019), "One more thing on Teff: Patent Quality". (20-02-2019), "Battistelli warns that complex filings could cause problems for the IP system". 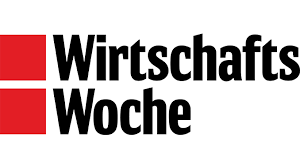 (Author: Sophie Crocoll, 28-02-2019), "Das Patentamt wird zur Innovationsbremse". (30-01-2019), “EPO aims to ‘enhance staff engagement’ with 2019-2023 strategic plan”. Translations are available in German and French. (27-01-2019), "EPO: consultation on Strategic Plan 2023, social tensions remain". Translations are available in German and French. (21-01-2019), “Clearing the cobwebs” – Translations are available in German and French. (22-01-2019), "EPO staff should not be treated as ‘second-class European civil servants’, says CSC". Translations are available in German and French. (07-01-2019), "European Patent Office dominates list of most read articles in 2018". Translations are available in German and French. Fundamental rights – The Council of Europe dicusses the means for redress to be given to the staff of international organisations against their administrations ! Discussions at the Council of Europe: the staff of international organisations need means for redress against their administrations. Translations are available in German and French. As a quick reminder, this discussion was largely triggered by the situation at EPO at the time Prof. Liesbeth Zegveld representing SUEPO was heard by the Council of Europe on the question considering the worrying social developments which impacted (and still impact) the EPO. 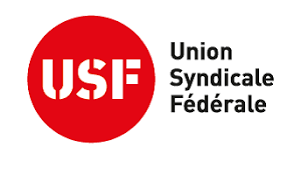 USF – Bernd Loescher – Lettre Mr Campinos OEB. Read more, here. Translation of the letter to Mr Campinos OEB is available in English and German. “Adminstrative Council urged to help end ‘persistent atmosphere of intimidation’ at the EPO“ (Kluwer Patent Blog, 23-11-2018). Translations are available in German and French. “SUEPO urges EPO to drop actions against beleaguered staff reps“ (IPPro Patents, 23-11-2018). Translations are available in German and French. "‘Urgent action’ needed on EPO disciplinary cases at ILOAT" (IPPRo Patents, 19-11-2018). "EPO partially ends staff rep email ban" (IPPro Patents, 13-11-2018). Translations are available in German and French. "EPO president Campinos and law firms start ‘constructive dialogue’ about patent quality" (Kluwer Patent Blog, 13-11-2018). Translations are available in German and French. "EPO president meets with ILO and ILOAT leaders" (IPPro Patents, 06-11-2018). Translations are available in German and French. "EPO accused of upholding SUEPO email ban" (IPPro Patents, 25-10-2018). Translations are available in German and French. "EPO appoints UKIPO patent director" (IPPro Patents, 10-10-2018). "Cautious optimism after the first hundred days of EPO president António Campinos" (Kluwer Patent Blog, 08-10-2018). Translations are available in German and French. "New EPO messages reveal quality decline and ‘confuse’ staff" (IPPro Patents, 04-10-2018). Translations are available in German and French. "Das tatsächliche Alter spielt für Leistungsfähigkeit und Fehlzeiten keine Rolle“ (Wirtschaftswoche, 30-10-2018). "Archambeau confirmed as EUIPO director" (IPPro Patents, 02-10-2018). "Campinos gives ‘strikingly different’ tone in EPO’s CSC meeting" (IPPro Patents, 26-09-2018). Translations are available in German and French. "EPO dismisses employee under new controversial ‘incompetence’ provisions" (IPPro Patents, 06-09-2018). Translations are available in German and French. "An office in turmoil: can Campinos break the curse?" (IPPro Patents, 04-09-2018). Translations are available in German and French. "UK Government guidance on Unitary Patent system in case there is no Brexit deal" (Kluwer Patent Blog, 24-09-2018). "Crucial months ahead. What will be the fate of the Unitary Patent system?" (Kluwer Patent Blog, 22-09-2018). "Photo avec une arme dans "l'Obs" en 2016 : l'imprécision de Benalla au Sénat" (L'OBS, 21-09-2018). "UK’s participation in UPC ‘not possible’ post-Brexit, says Max Planck Institute researchers" (IPPro Patents, 21-09-2018). "Alexandre Benalla, garde du corps à l'école de Benoît Battistelli" (FranceSoir, 19-09-2018). Translations are available in German and English. "The Future of the UK in the UPCA post Brexit is uncertain. But Milano è pronta." (Kluwer Patent Blog, 18-09-2018). "EPO staff committees reveal three pillars for dialogue with Campinos" (IPPro Patents, 28-08-2018). Translations are available in German and French. "‘Give back EPO staff their voice’, says SUEPO Munich chairman" (IPPro Patents, 15-08-2018). Translations are available in German and French.